Health Costs > How Much Does a Bone Growth Stimulator Cost? How Much Does a Bone Growth Stimulator Cost? A bone growth stimulator is an effective medical device designed to stimulate and activate the increase of new bone cells. This method, approved by the FDA, is commonly used for the treatment of bone fractures, not larger than one centimeter, and in medical cases where someone is younger than 17 years old with bones still growing. The costs of a bone growth simulator will depend on the brand, the type you prefer, geographical location and retailer you purchase it from. An external stimulator may retail for $2,000 to $5,000 brand new, while an invasive stimulator will depend on the type of fracture and body areas and the doctor’s fees. An internal spinal cord stimulator, for example, could cost about $15,000 to $50,000 or even more without health insurance after the procedure has been performed. The Orthofix bone stimulator, which we created a cost guide for, tends to be one of the most popular bone stimulator brands, and it has been said to cost anywhere from $100 to $1,000, for example. Other brands, such as Biomet, Exogen, DonJoy and Smith and Nephew can be in the same price range. These are the prices ranges often found on the secondhand market. MedNow.com, for instance, had more than 200 listings, with most prices less than $700. According to some members on this Spine-Health.com forum thread, many reported they had paid anywhere from $3,000 to $5,000 with their health insurance company covering it. One member, in particular, had to pay $5,000 after her insurance turned her down at first due to confusion on their end. Members on this forum thread at Foot.com stated they were quoted anywhere from $2,500 to $3,500 before insurance. The internal is planted inside via a surgical procedure. If you have no risks for surgery, the internal stimulator device and battery can be implanted partially or completely in the fracture area. The implanted stimulator emits an electric current directly into the bone fracture 24 hours a day and is convenient to use with no known adverse side effects. As soon as the fracture has recovered, the implanted simulator will be taken out via another surgical procedure. As for the external stimulator, it is a non-invasive method to repair bone fracture as the person wears it for about two to nine hours each day as prescribed by the doctor for a specific time ranging from about three months to a year. It comes with tiny thin skin pads or electrodes that are directly put on the broken area, sending out electronic waves to increase new bone cell formation. The external stimulator may also be prescribed for use after bone fusion surgery if the bone is not healing as expected. 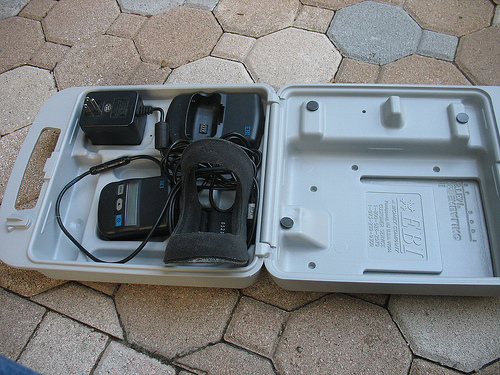 The external stimulator, if you were to purchase either brand new or used, should include a control unit, an adjustable treatment coil, a link cable, a grounding plug, and battery charger, and instructions manual. A bone stimulator creates a low-level pulsed electromagnetic field that’s able to activate the body’s natural healing process. As per some published pre-clinical research, it shows that these stimulators affect the bone healing process at the molecular, cellular and tissue levels. Talk with your health insurance company as most policies will cover the procedure as long as it’s medically necessary, but since all insurance companies do vary with policies, before making an appointment, it’s always best to know which provider is in network and how much you will be responsible for. Consider the option of renting external units by manufacturers who sell their brands. There are some external stimulators that you can rent and the costs will depend on the length you need it for. A 90-day rental, for example, could cost about $375, while a 120-day rental would cost about $400. Talk with a local medical supply retailer to see if they have any rental options available. Consider checking the internet for used and slightly used external stimulators as they cost much less. As mentioned above, a used bone stimulator in great condition can be up to 60 percent off. Amazon.com and eBay both had a variety of used bone stimulators for sale. Price is estimated on my deductible at 20%, with Medicare. My insurance company uses Exogen. I need this devise for 4 weeks (at a cost to me of $338~). I suggested I could buy it on e-bay for $169, and was told by the Exogen rep, that the programming would most likely be out of date-I would have to contact Exogen to re-activate, and if I wasn’t the original user (registered user), they would not reactive the device. How is that for a monopoly with my health care provider? I really don’t like Exogen for that reason.